Impact – Up to date information for parents on Impact's weekly events. Up to date information for parents on Impact's weekly events. Information about Impact the Jr. High Youth Group at Hope Center Covenant Church. Join us on Wednesdays from 7 pm to 8:30 pm. 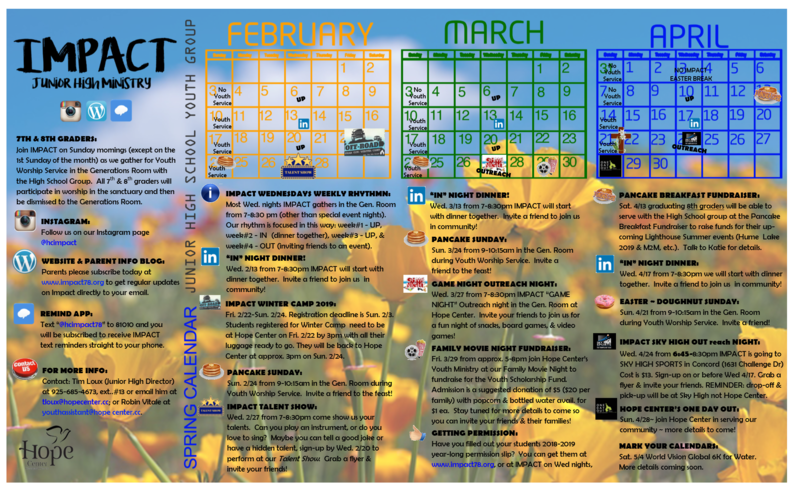 Make sure to check out our current calendar to see what we are up to!